"12 + 3 STEP RECOVERY PROGRAM"
We ("the people targeted") admitted to ourselves that we were almost entirely powerless over the activities of the Money Power Psychopaths ("MPPs": "The BANKSTERS, and ALL of their criminally "aiding and abetting", PARTICIPATING Lawyers, CEOs, Politicians, Civil Servants, Police Officers, Psychiatrists, Psychologists, Psychiatric Nurses, Advocates, Therapists, Journalists, Economists, Government Contractors, Historians, Archaeologists, NGOs, Teachers, Lecturers, Professors, all MPP supporters within the whole "Academics" Group (overall), Clergy, Trades Union Officials, Charities, Etcetera" who, by DEED and OMISSION, collectively support and effectively make up "The MPP Corruption and Crime-Ridden Invisible Governments of the World") - that our lives had become unmanageable. 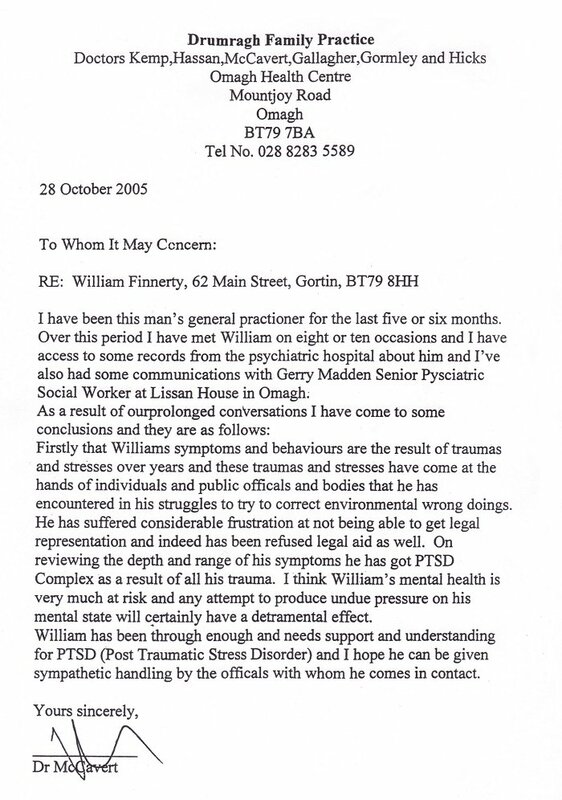 Despite ending up with C-PTSD type psychological injuries, as well as major financial and social injuries, caused by the many widespread and far-reaching injustices and crimes of the "Invisible MPPs Transnational Partnership Government", which the members can indulge themselves in with total IMPUNITY (at the present time, i.e. February 2014), and the resulting social dysfunctionality and chaos that is being caused and sustained by their global-spanning "group activities", which, for the past several years includes the growing threat of a thermonuclear WW3 starting up at literally any moment as a direct consequence of the very persistant "regime change" ambitions, schemes, and scams of the warmongering MPPs, came to believe -- nevertheless -- that a Power greater than ourselves still could restore us to sanity. Made a decision to turn our will and our lives over to the care, protection, and guidance of Our Creator as we understood Her/Him/It/Whatever. Admitted to Our Creator, to ourselves, and to another human being the exact nature of our wrongs. Were entirely ready to have Our Creator remove all these defects of character. Humbly asked Our Creator to remove our shortcomings. Sought through prayer and meditation (not to be confused with self-medication of the "brain drug" kind) to improve our conscious contact with Our Creator as we understood Her/Him/It/Whatever, praying only for knowledge of Our Creator's will for us and the power to carry that out. "The Right To An Effective Remedy"
"World Bank Insider Blows Whistle on Corruption, Federal Reserve"
"A former insider at the World Bank, ex-Senior Counsel Karen Hudes, says the global financial system is dominated by a small group of corrupt, power-hungry figures centered around the privately owned U.S. Federal Reserve. The network has seized control of the media to cover up its crimes, too, she explained. In an interview with The New American, Hudes said that when she tried to blow the whistle on multiple problems at the World Bank, she was fired for her efforts. Now, along with a network of fellow whistleblowers, Hudes is determined to expose and end the corruption. And she is confident of success." "Prime Minister Brian Cowan, Enda Kenny TD, Banksters, government corruption, crime, cover ups, and impunity ..."
"The Criminal Banking Cartel Will Soon Be HISTORY"
"Karen Hudes, Human Rights Ireland, Banksters ..."
"Karen Hudes, Acting General Counsel of the World Bank, The Criminal Banking Cartel Will Soon Be HISTORY ..."
"If you really faced the world as it is, and tackled it, you would find it something infinitely greater than any philosophy, greater than any book in the world, greater than any teaching, greater than any teacher." to government criminals, or to government crime. Celtic Christianity, as represented by the unique shape of the Celtic Cross, was much closer to a 50/50 "merger" of ancient Celtic and Christian beliefs, values, and traditions than it was to a complete takeover of either one by the other, it would seem. The "Circle" of the Celtic Cross is, for example, believed to represent the "Enormous, Thermonuclear, and Diverse Divine Powers" of the Celtic Sun God "Lugh"; and, there are numerous other examples of how the Celtic Law of the Irish Celts (Brehon Law), and the associated spiritual beliefs, merged with the new form of the Christian religion that took root in Ireland; and, which went outwards from Ireland to inspire and to influence Christian rituals and feast days internationally: in a manner which continues to have its presence felt right up to the present time. "... he has got PTSD (Post Traumatic Stress Disorder) Complex as a result of all his trauma." "Capable of producing innovative solutions to specific problems"
"Impunity means the impossibility, de jure or de facto, of bringing the perpetrators of violations to account - whether in criminal, civil, administrative or disciplinary proceedings - since they are not subject to any inquiry that might lead to their being accused, arrested, tried and, if found guilty, sentenced to appropriate penalties, and to making reparations to their victims". "The only requirement for membership of is a desire to recover from the psychological and financial injuries caused by the Money Power Psychopaths and their accomplices." "Ah, Sweet Mystery of Life at last I've found You"
"Genuine Democracy", as in "Caring Government" of The People, by The People, for The People, will yet rise superior? Sung by: The Manhattan Transfer. Songwriters: Paul Simon and Art Garfunkel. I will dry them all." I will ease your mind." "If music be the food of love, play on ..."
"On the Banks of My Own Lovely Lee"
Performed by: The James Last Orchestra. Music composed by: James Charles Shanahan. "Ni le bien qu'on m'a fait." "Ni le mal tout; ca m'est bien egal." Aujourd'hui, ca commence avec toi." I don’t have a history anymore. I am like an orphan in a dormitory. My life stops when you leave. And left me alone with my despair. I am unwell, badly ill.
You leave again, one never knows for where. This song was written by Bob Thiele (using the pseudonym "George Douglas") and George David Weiss. From the musical Les Misérables, the music was written by Claude-Michel Schönberg with orchestrations by John Cameron. The English lyrics were written by Herbert Kretzmer. "The Star In The Fantasy"
Sung by: Sung-bong Choi (a homeless boy). | Music composed by: Ennio Morricone | Lyrics written by Chiara Ferraù. "Admitted we were Powerless (over alcohol), Came to Believe ..."
"The Day I Stopped Dying"
Leave your love to yesterday. And dread the day that dreaming ends? One day I'll fly away, leave your love to yesterday.